Here at Irving Rain Gutters we understand that it’s the little things that count. Though drains only make up a small part of your home, they are very an integral part of it. If things begin to go wrong with the gutters, pipes and the drains then it won’t be long before other aspects of your life become problematic as well. If this happens and it happens to everyone at some point - then the important thing is to act fast, before any lasting damage can be incurred. As a homeowner, you have to battle with many different obstacles: nature’s elements, time and rust, wildlife and the seasons. 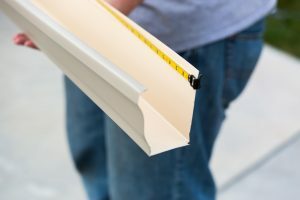 At Irving Rain Gutters, we want to be there to help you at every step of the way. We have the training and the experience to tackle drains and gutters on any house or building no matter how scary it might be to the general public. Give us a call today to find out how we can put your mind at rest and keep your gutters and drains looking and feeling spick and span! It is not just great services that we provide, we do it with a can-do attitude and a smile as well! Don’t hesitate to give us a call today!